Housed within the School of Health Care Professions, the CLS program at UW-Stevens Point is among the largest in the state and one of only three in the state with national accreditation. UW-Stevens Point offers three options in clinical laboratory science program: cytotechnology, histotechnology and medical technology. Students must complete a clinical practicum in order to fulfill the requirements for national certification. 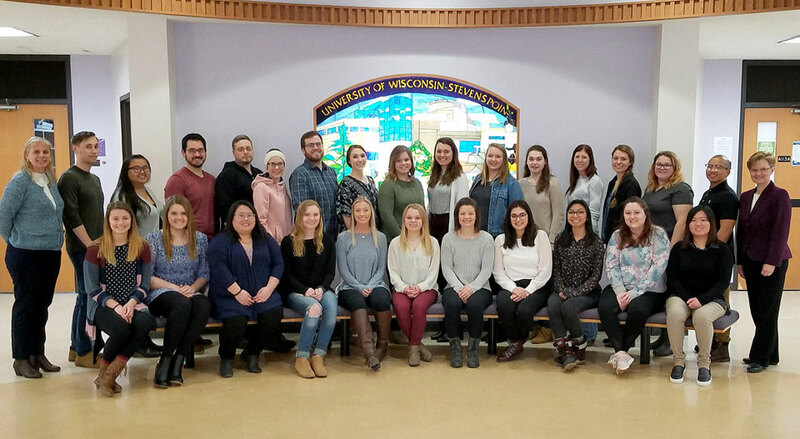 Rebecca Sommer and Michelle Shulfer congratulate the students at the UWSP Clinical Laboratory Science (CLS) Signing Day 2019.